The concept of a “complex module” includes a tube amplifier Rammfire with four main modes of “drives”: RZK, Modern, Vintage, Clean. Specifies the drive level of the Gain knob. The Master knob adjusts the overall sound level at the amplifier output, and the Bass, Mid, Treble adjusts the frequency response of the sound as usual, and Presence adjusts the presence effect or, more precisely, the brightness or clarity of the EQ processing settings. 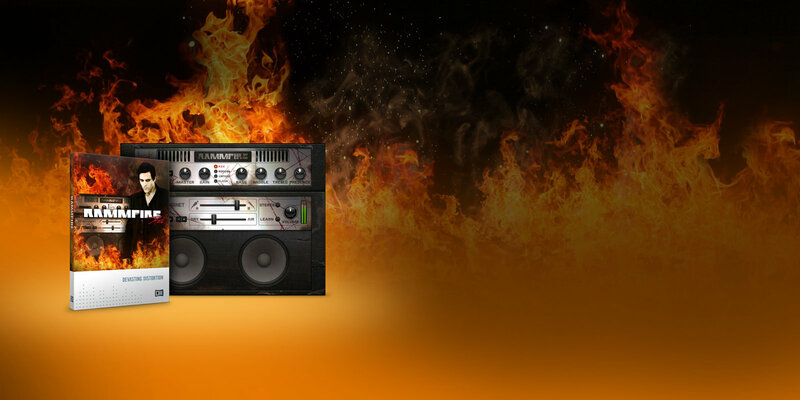 The second main module is a device, actually, “output the sound outside”, called Matched Cabinet – a cabinet with two speakers, as well as simple settings, in which there is a crossfader controlling the balance of the levels of sound removal by two microphones. There is also a slider that adjusts the ratio of the direct signal to the air shot (Dry and Air positions). Also, a zone with volume settings where the Learn button turns on the volume learning mode, or more simply, automatically adjusts the output volume of the module to the required exemplary level. The Stereo button turns on the stereo effect. 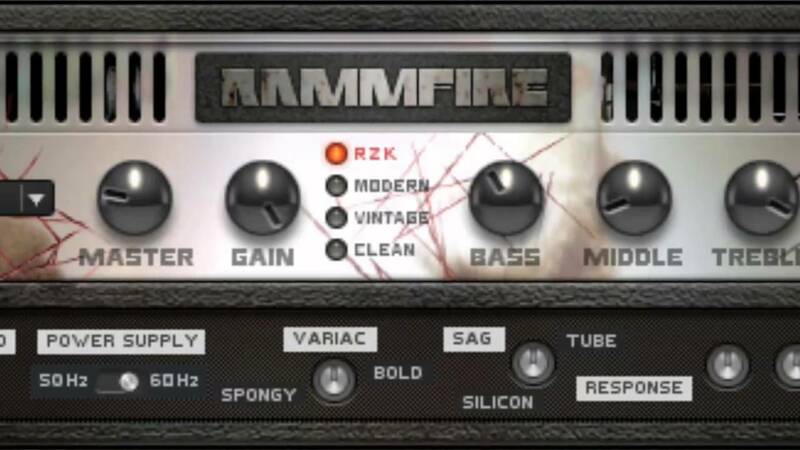 And the sounds do resemble the traditional “Ramstein” sound, where mostly from the built-in presets, there are (of course) variations from the family of “clean” reefs “Pure Rammfire”, also “screaming” “Screaming Rammfire” and “seasoned” “Vintage Rammfire “. Interesting sounds are presented and Lead-versions (Rammfire Lead in four variations), two of which were recorded solo-losses in the demo presented above.